Whether you are a small locally owned business with one location or a local arm of a larger business, you have likely heard people talk about why Yelp reviews are so important to your business. Depending upon whether you personally use Yelp or not, you may or may not be so convinced about this. Well, it’s time to set the record straight. Yelp reviews matter. It’s that simple. Whether you are in your 20’s or your 60’s, you know that word of mouth can have a big impact on a local business — for better or worse. Referrals are prized possessions and offer fabulous ROI when compared to business that took far more dollars or effort to cultivate from the get-go. 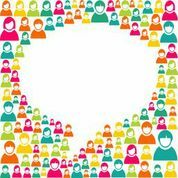 In today’s world, online reviews are the most powerful form of word-of-mouth advertising available. Recent research corroborates their power by noting that as many as 78 percent of consumers consult online reviews to find local businesses and even before making final buying choices. As for Yelp specifically, just this summer, it was rated the most trusted and most often used online review site of all. Hopefully you are starting to believe in the value of getting your business on Yelp. Yes, you read it right—links. Every Yelp review is a link for your business and can do wonders for your local SEO. But, before you rush out and develop great incentive programs to garner more Yelp reviews, wait. In the post-Penguin era, links must be natural and that includes review links. Yelp reviews that are posted in response to your special offer are not truly natural and therefore are not as likely to help your link strategy. In fact, they could hurt it. If you are a local business, not only is being on Yelp helpful, but not being on Yelp is hurtful. Now is the time to make sure your Yelp listing is complete and accurate so that you can reap the rewards this valuable site has to offer.